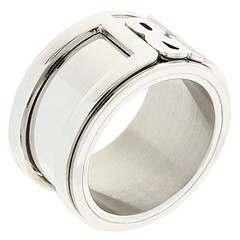 Adorn your finger with this luxurious DG ring. One Size only. Fits a Size 9. Stainless steel with DG logo. Width: 1/2 Circumference: 1 0.57 oz. Free shipping in the USA.